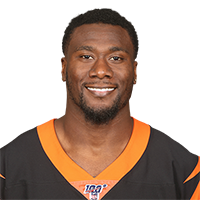 Williams returned an interception 58 yards for a touchdown in the Bengals' Week 17 loss to the Steelers. It was his first defensive touchdown at any level, Paul Dehner Jr. of the Cincinnati Enquirer reports. Williams also chimed in with eight tackles on the day. Analysis: Williams ended the season with a career-high five interceptions and 110 tackles, after tallying just one INT and 49 tackles last season. He's likely to be one of the Bengals' defensive mainstays in an offseason where there should be transition at other positions. Analysis: Williams is second on the team in tackles this season, trailing only fellow safety Jessie Bates. He'll look to continue racking up the stops Sunday against the Raiders. 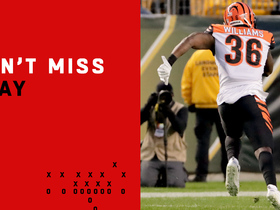 Analysis: Williams played all but one defensive snap for the Bengals during Sunday's loss. The 27-year-old is a reliable source of tackles, and he'll be worth IDP consideration heading into Cincinnati's tilt against the Chargers in Week 14. Analysis: Williams had been limited in practice Wednesday and Thursday, but he was finally able to log a full practice Friday. 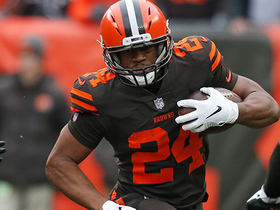 As evidenced by this news, Williams should be available for the Bengals' Week 12 game against the Browns on Sunday. 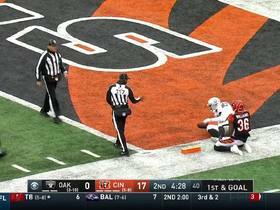 Analysis: Williams played 77 of 79 defensive snaps in last Sunday's loss to the Bengals, but apparently sustained a hamstring injury. The fact the 27-year-old was still able to practice on a limited basis is a positive sign, but the specifics of injury remain unclear. Williams recorded 11 tackles (nine solo) and an interception in Sunday's loss to Baltimore. Analysis: Williams is now tied for second in the league in interceptions on the season, and he's set a career high in the process. He also recorded double-digit tackles for the third time in four weeks. Through 10 games, Williams has 67 tackles (46 solo), including one sack, six passes defensed (including four interceptions) and a forced fumble. Williams recorded 10 tackles (six solo) across 75 defensive snaps in Sunday's loss to the Saints. Analysis: Williams was second on the team in tackles Sunday, bringing his season total to 56. 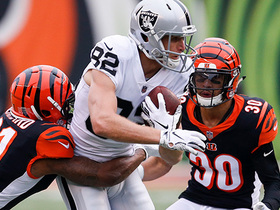 The sixth-year pro played in 100 percent of the defensive snaps alongside rookie Jessie Bates, as the duo is proving to be a cornerstone of the Bengals' defense. Oakland Raiders tight end Darren Waller takes his first reception this season for 44 yards. 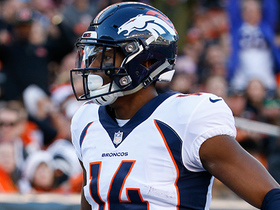 Denver Broncos wide receiver Courtland Sutton hauls in a catch for a 27-yard gain vs. Cincinnati Bengals. 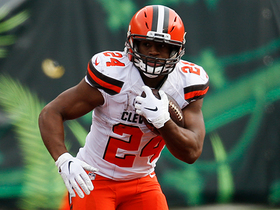 Cleveland Browns running back Nick Chubb rushes for 5 yards. 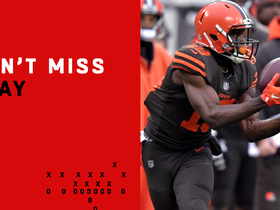 Cleveland Browns quarterback Baker Mayfield finds tight end David Njoku for a 21-yard gain. 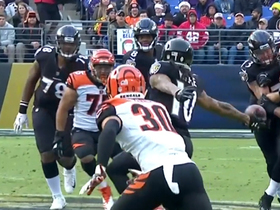 Baltimore Ravens wide receiver Chris Moore reached back for a fantastic one-handed catch off of a sidearm throw from rookie quarterback Lamar Jackson.